A pleasant traditional design the Austin fireplace mantel. This surround facing can also be made from cast stone, limestone and marble. A geometric style with lines and steps. This model is similar to some of our other modern and contemporary designs. Easily blend this facing in any room. 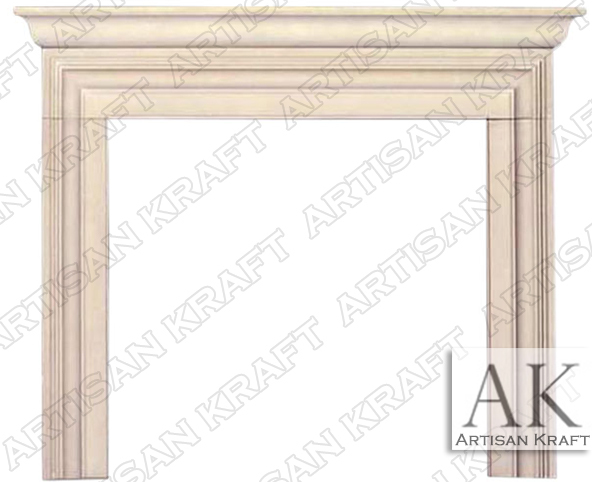 Austin is a transitional surround because it is a hybrid of modern and traditional elements.